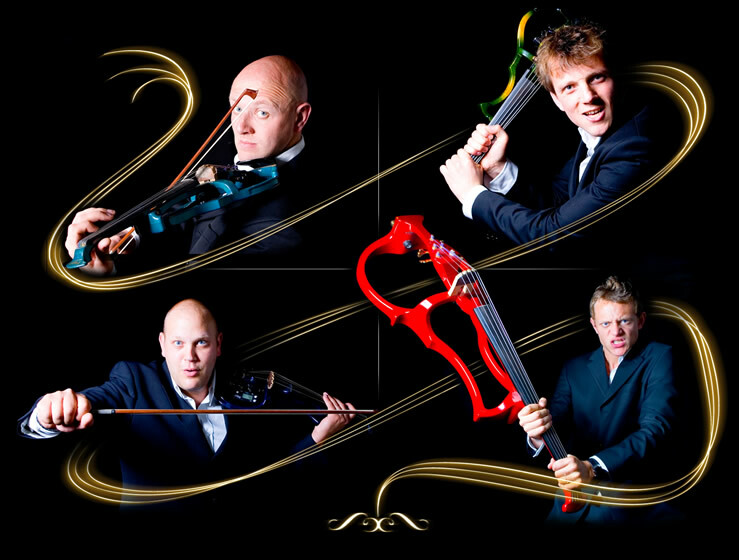 If you’re looking for an amazing evening’s entertainment like you’ve never seen before, then meet Giles, Ralph, Graham & Neal Broadbent aka Stringfever. The fantastic culmination of the show is the group’s signature finale, “The History of Music . . . in 5 minutes.” The unique instruments and charismatic personalities of the members of the group make StringFever a truly unique and unforgettable, not to miss, musical experience.